Sometimes you just crave pizza, authentic Neapolitan pizza… but how can you make it at home without a wood-fired oven? Well, if you follow this recipe, you’ll get some impressive results! 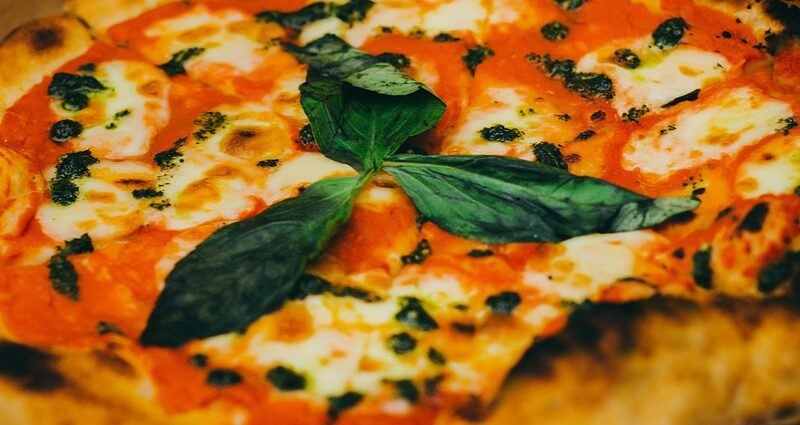 When I came across the rules and regulations for authentic Neapolitan pizza in the official Italian legislation publication, Gazzetta Ufficiale, I realised that making the original recipe at home is not too difficult. I have also noticed that this recipe, which is defined as authentic by law, uses a lot of salt. I would suggest decreasing the amount of salt for a healthier version. First of all, in a large bowl dissolve all the salt in the water. Add 200 gr of flour to the salted water and mix well until smooth. Add the yeast and mix well. Add the remaining flour gradually and mix for 10 minutes or until smooth and elastic. Cover the dough with a damp cloth and rest for at least two hours. Split the dough into portions: each portion should weigh between 180 gr and 250 gr. Shape each portion into a ball then rest under a damp cloth for 4-6 hours in a warm place away from draughts. Preheat the oven at 220 degrees Celsius or its maximum temperature, depending on your oven. 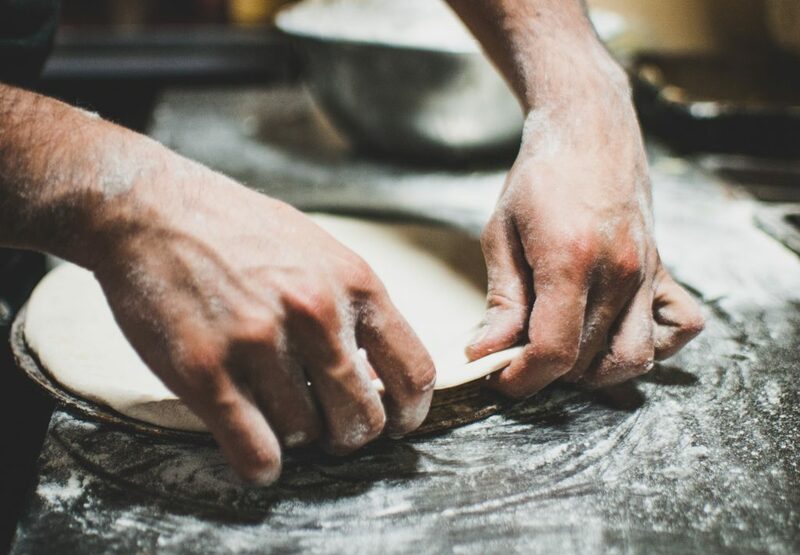 Lightly dust a baking tray with flour and spread each dough ball into a circle. Spread 70 gr of tomato passata on each pizza, starting from the centre in a round motion, using a ladle. Optional: spread a little salt on the tomato sauce. Add the mozzarella, cut into narrow slices. Each slice should be about 1 cm thick and 3 cm long, as this helps it melting in the oven without pooling too much liquid. Add 3-5 fresh basil leaves, then drizzle with 1 tablespoon of extra virgin olive oil. Bake in the oven at its maximum temperature for 15 minutes or until the outside crust looks golden and the mozzarella has completely melted.